Do you want it recoloured to match your colours (purple)? Shy Guy skeletons are almost asking to clip through. 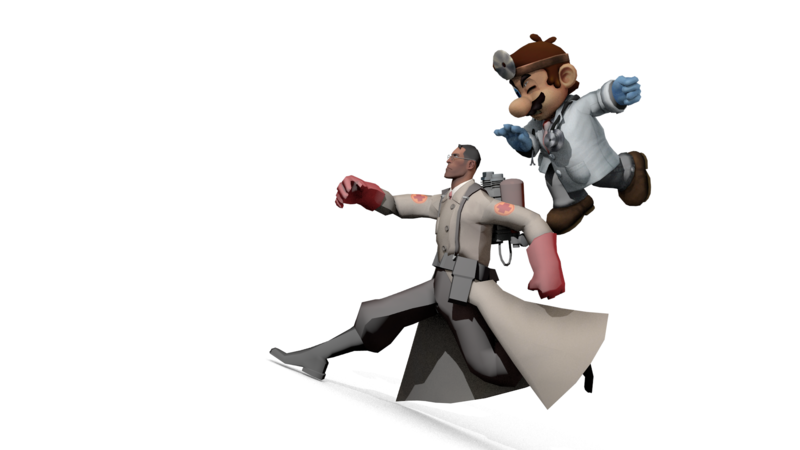 What if Doctor Mario met Medic? Also all of these are good! What direction is gravity supposed to be again? Dr. Mario probably lost a game of Smash Bros. The normals on the eyes, yeah, I can't ignore that. 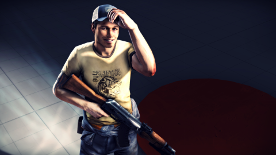 Use smoothing, vertex welding, something that can change the lighting properties so the eyes blend well with the face. i don't see how vertex weld or smooth will solve that problem that is clearly normals related. vertex weld and smooth is more for polygonal and faceted models. you need to average your normals to a certain threshold. Oh, I see another problem with Dr. Mario's left eye... is his left eyeball overlapping with his hurt eye? 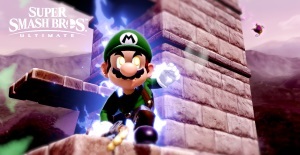 Why again are Doc Mario's eyes closed? Also, if doing the Bowsers is taking too much time, don't bother doing them. I have another request for UP which I'll spoiler tag now. That Yoshi form I was in for most of Chapter 4 of my fanfic? I need my artwork of it. Basically, it's a yellow Yoshi with cyan sale3, boots, and those things on the back of his head that I can't think of the name at this time of night. 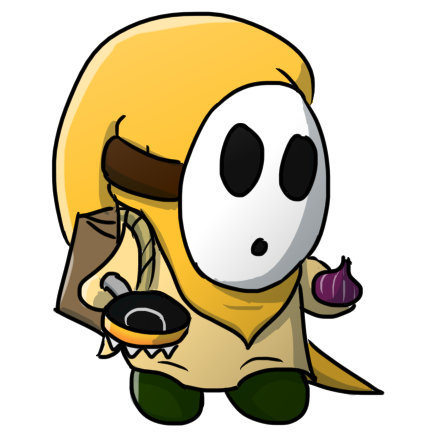 Everything else (except for the chest, w which like most Yoshis is white) is yellow. Now if you really have some spare time, throw in a ball of electricity above his hand. Remember my awful diagrams when you do this though. The reason Dr Mario's eyes are closes is because that's the only expression that came with the model. There was also some seperatre models of an eye that were textureless and/or really buggy. I might redo that if I get the chance. Thanks. If I'm up early enough (not now obviously but maybe at around 7 or 8 A.M.) I'll upload it to UP. If it's done, that is. If not I'll do it sometime this afternoon. I actually would have asked for a gif of me going from Koopa to Yoshi form, but that would have been rather hard to do. So I didn't. You probably have to remap the eyes since I had to do this in 3DS Max and I think Maya as well. But this Mario has two pairs of eyes layered on each other, as well as the hurt eyes/face, so you have to be careful. In your render, the remnants of his eye still shows. I know this because, well, look at my avatar. 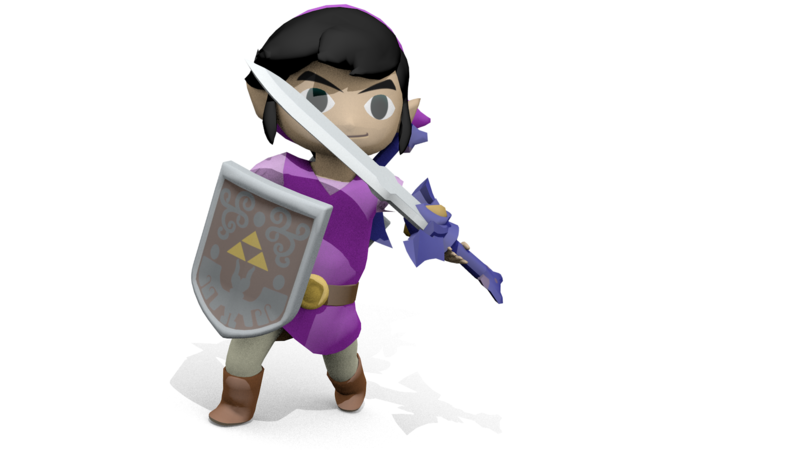 toon link isn't even properly rigged. I should probably start using reference images. He's holding it backward, as if he's holding a dagger. Actually that's what I'm doing, in the style of a Pokémon evolution. Might use these for HwPam. 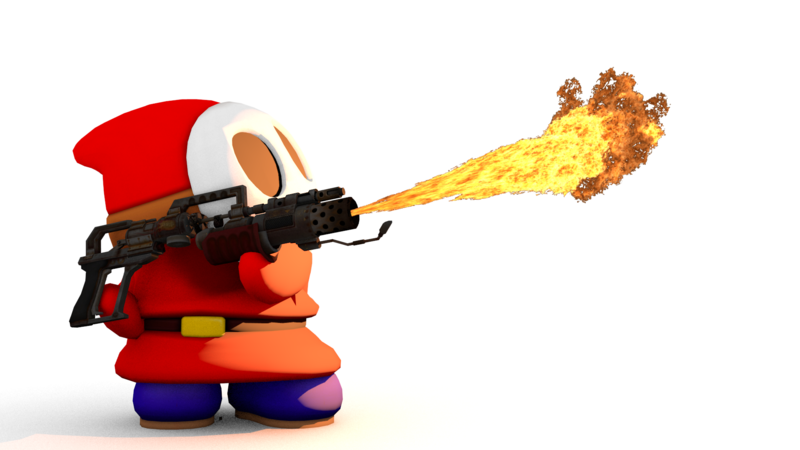 It even looks like I wanted it, except that the Yoshi's legs iare rather stretched.